Starwood is one of the world’s leading hospitality companies and will take over management of the SLS Las Vegas existing 289-room tower after it is converted to the new W hotel. The W Las Vegas is scheduled to open in 2016 and will be the first W Hotel on the world-famous Las Vegas Strip. The renovation will transform the existing tower into a new luxury hotel that will feature a W Living Room, an Away Spa and WET, an exclusive outdoor pool and bar. The W Las Vegas will be managed by Starwood while the remainder of the SLS property will continue to be managed by Kreeger. 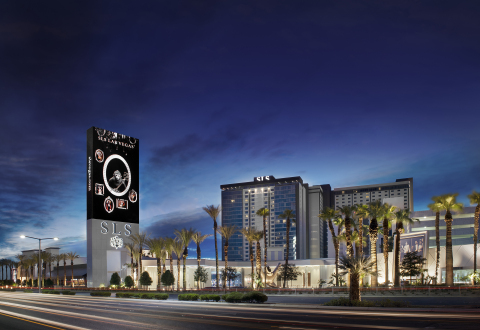 SLS Las Vegas will join Starwood’s four existing hotels in Las Vegas, which include The Westin Las Vegas Hotel, Casino & Spa, The Westin Lake Las Vegas Resort & Spa, Four Points by Sheraton Las Vegas East Flamingo, and Element Las Vegas Summerlin. For more information, visit www.starwoodhotels.com.